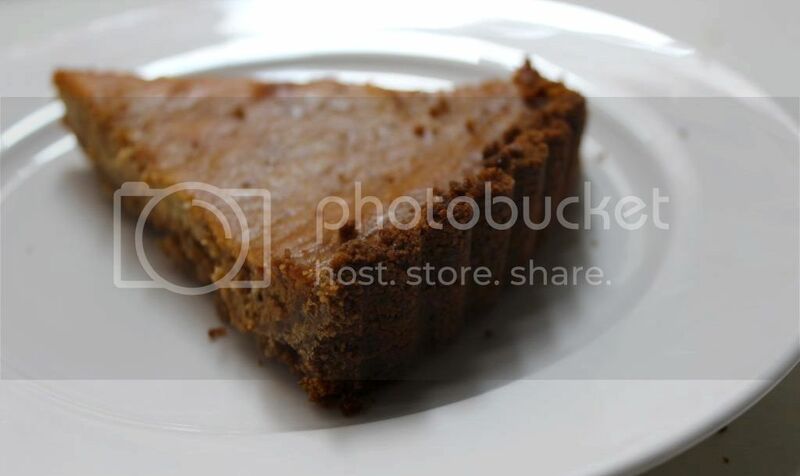 As promised, here is a new favorite recipe for a pumpkin cheesecake tart. Except the word "tart" always reminds me of fruit desserts, which this is most certainly not, so I'm just calling it a pumpkin cheesecake. Also, the cheesecake part and the pumpkin part are supposed to be prettily marbled together, which didn't quite work out for me. But, I swear up and down that marbling or not, this cake (not tart) is something pretty darn remarkable. So instead of lugging out your tired old pie dish on Thursday, I would suggest you branch out a bit and give this little gem a try. The ingredient list may look long, but most of it is stuff you probably already have laying around your kitchen, and the actual assembly as easy as, well, pie. Har. Make crust: Preheat your oven to 425 degrees. 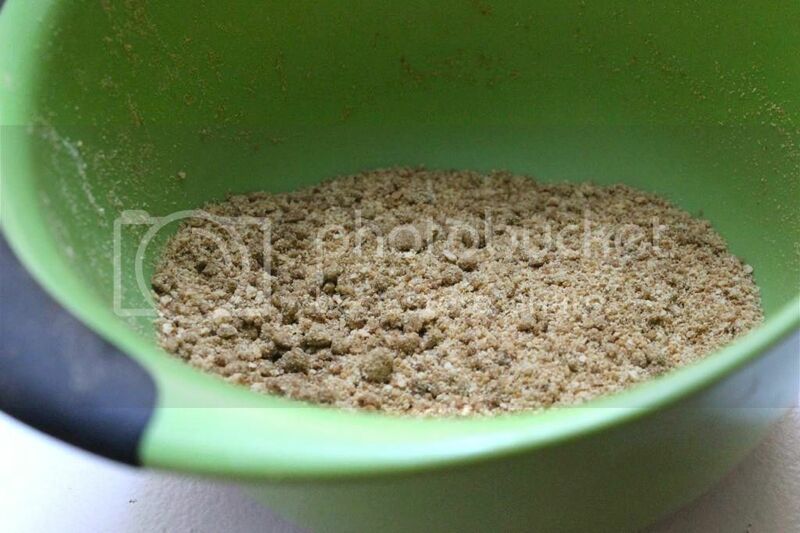 Finely grind the gingersnaps and graham crackers in a food processor (yielding 1 1/2 cups). 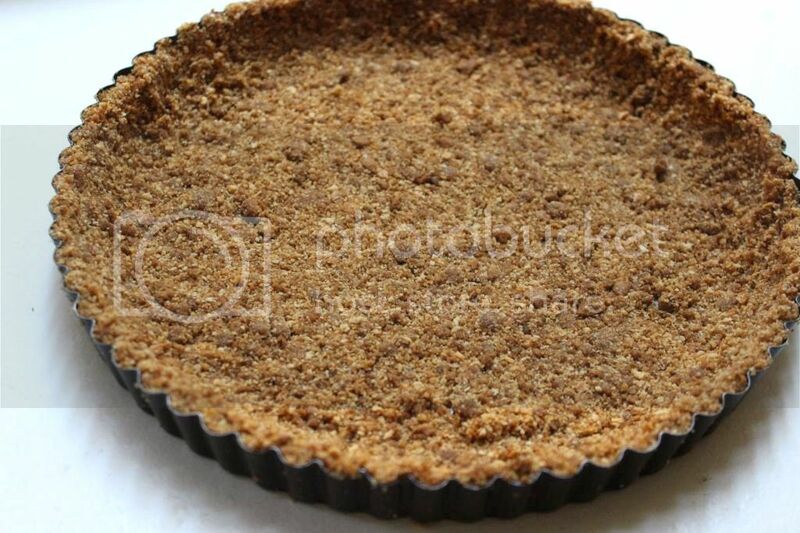 Add the melted butter, and process until the cookie-crumb mixture is moistened. 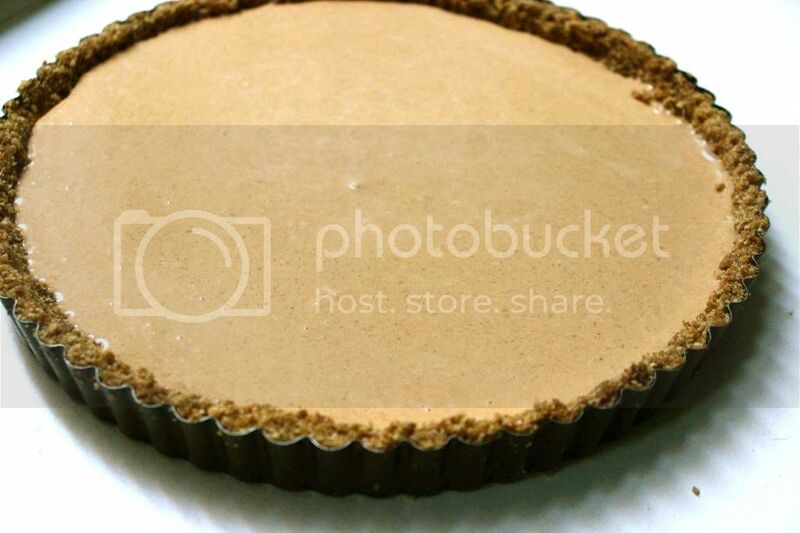 Press the mixture firmly into the bottom and up the sides of a 9-inch-diameter tart pan with removable bottom. 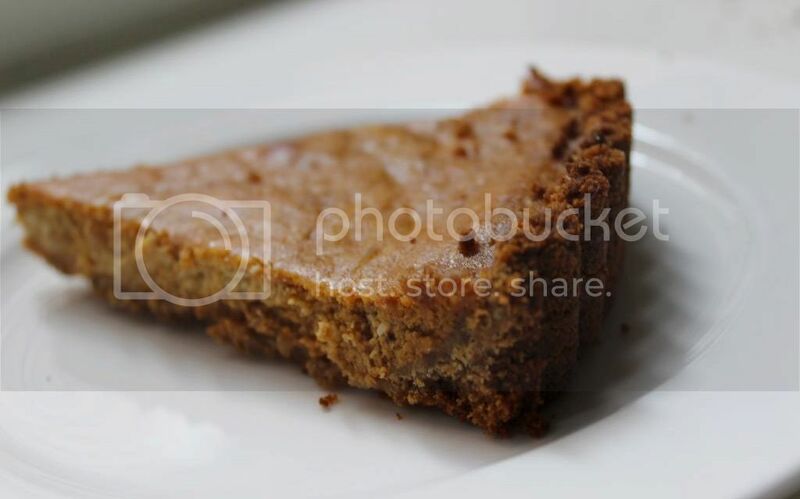 Place pan on rimmed baking sheet. Make cheesecake batter: Mix together the ingredients in a small bowl until smooth. Make pumpkin batter: Beat the egg and the egg white lightly in a large bowl. Whisk in the pumpkin, sugars, salt, cinnamon, ginger, cloves, and nutmeg. Gradually whisk in the cream. 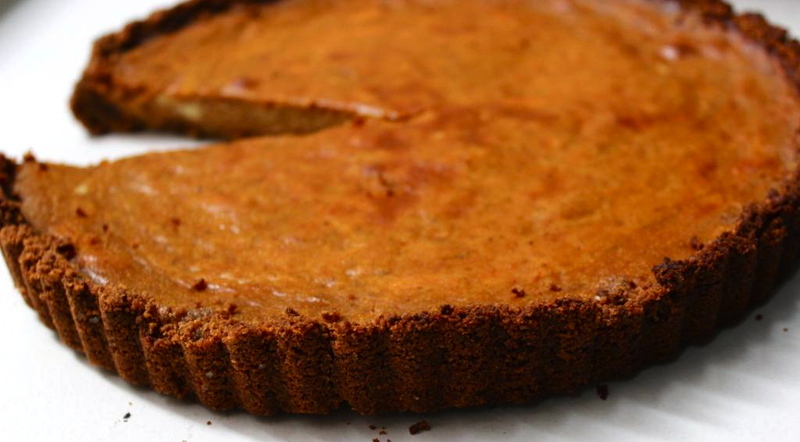 Assemble tart: Pour the pumpkin batter into gingersnap-graham crust. Dollop the cheesecake batter over pumpkin batter, then marble the two together decoratively with a knife. Try not to pierce the bottom crust as you do. Bake for 10 minutes, then reduce temperature to 350 degrees and bake for another 30 to 40 minutes, or until a knife or toothpick inserted into the center comes out clean. Cool the tart completely on a rack, or in the fridge if you like it cold. Serve immediately and refrigerate any leftovers. MMMMMMMM.its very nice. i love cheese cake. Thanks for share this great stuff, i just amazed to see this great stuff. I love those! They're beautiful! I should get myself organized and try to make something similar for the garden. What a nice post here it is really amazing thanks for sharing with us.